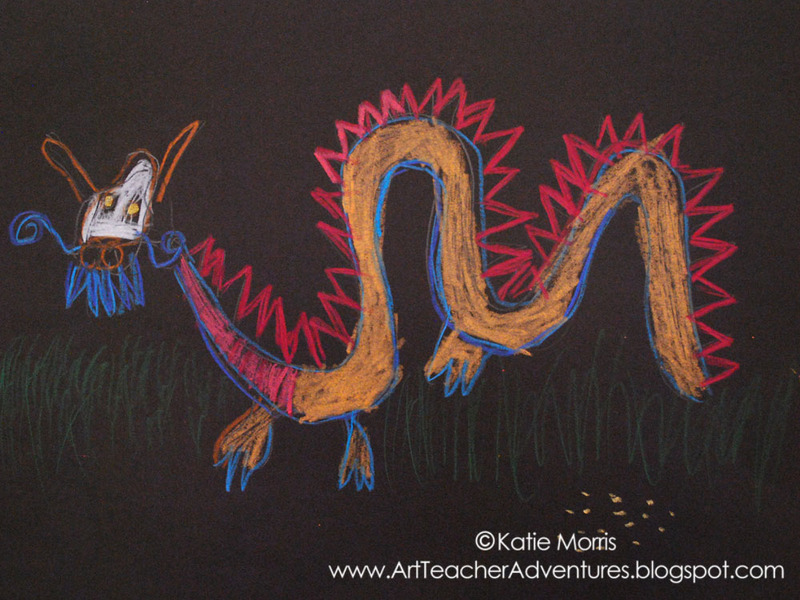 My 2nd graders learned about Asian dragons during our East Asian study this fall. I used the same PowerPoint with 2nd grade and the 4th grade dragon lessons. Dragons are a great way to show the students how the "same thing" can be very different in another part of the world. After the PowerPoint presentation, I showed a video of a Chinese street vendor making a sugar painting of a dragon. Today I found a shorter version of the same vide. 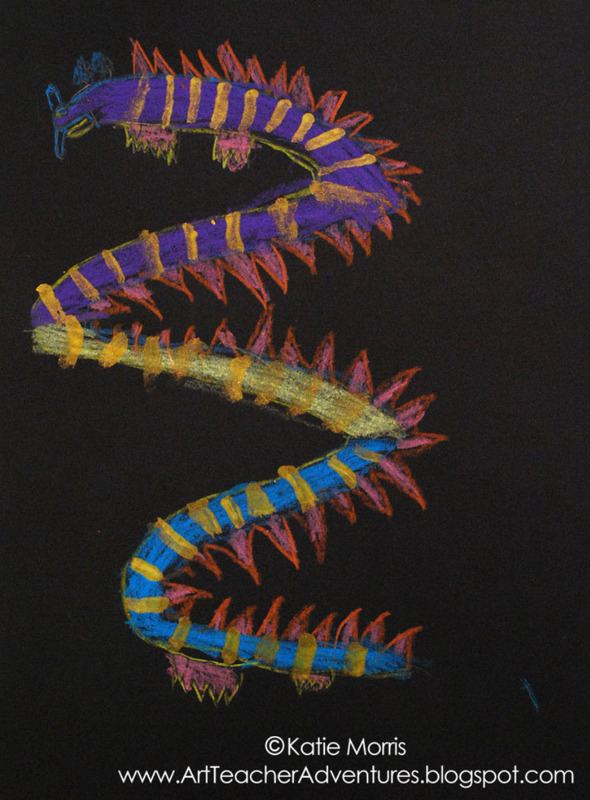 Seeing how this man draws a dragon in about 2 minutes using flowing lines was really helpful. 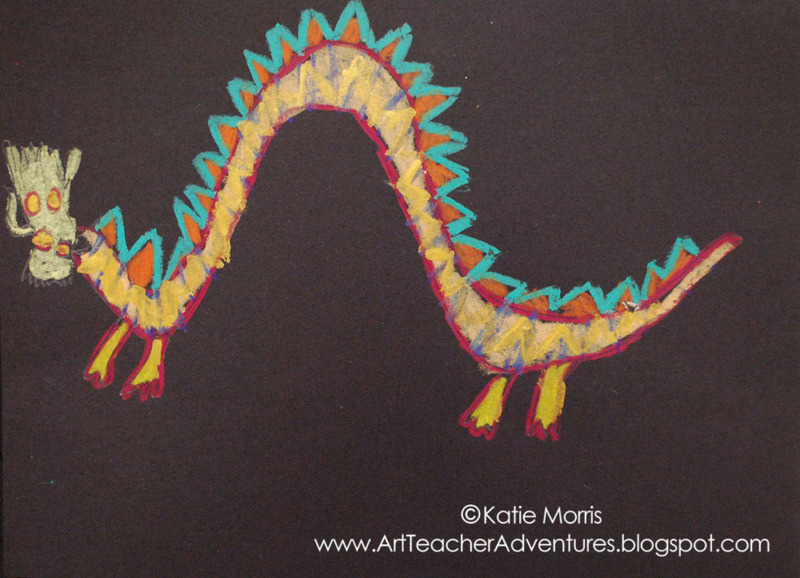 The students could draw any style of Asian dragon they wanted to. 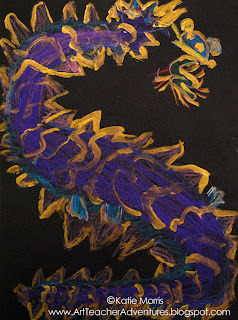 We reviewed the number of claws- Japanese dragons have 3 claws, Korean have 4, and Chinese have 5- and the students decided where their dragon should be from. 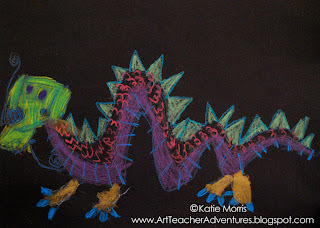 The dragons could be any color or pose, as long as they were Asian style instead of European. 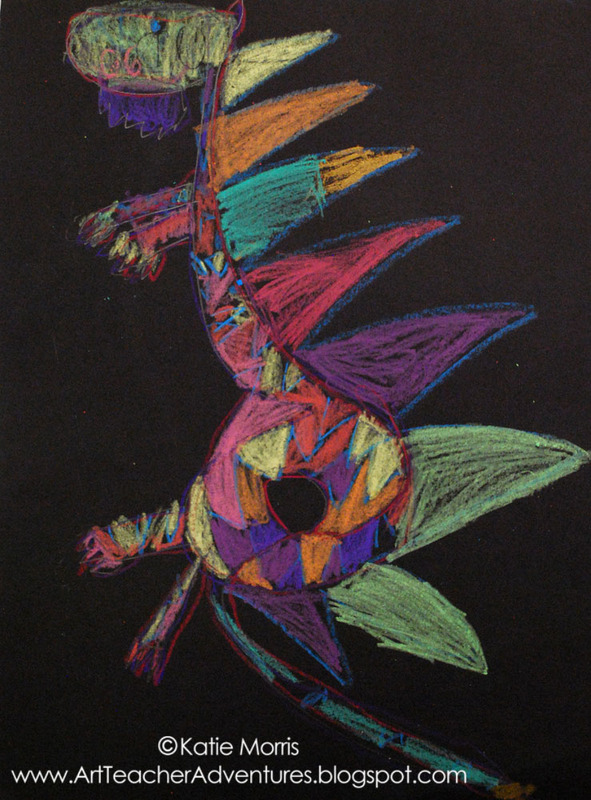 I originally planned to have the students draw their dragons on the black construction paper, outline with color sticks so it would be easier to see, then paint parts with tempera paint. I only did this on one day because the students were having a really hard time controlling the paint. The classes that started with tempera ended up needing an extra day while the others were done in 2. In the other classes, the students used construction paper crayons and/or color sticks to complete their dragons and then if there was time, I let them add touches of metallic gold paint. Dragons are magical, after all. The metallic paint was a HUGE hit and it cost me less than a dollar to let all 130-ish 2nd graders embellish their artwork. I just picked up a small bottle of acrylic craft paint at WalMart and even have some leftover. 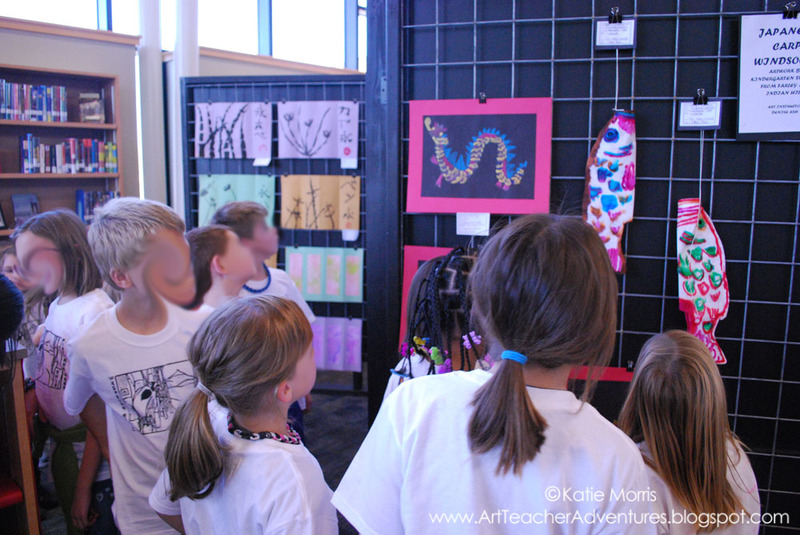 I don't have photos yet of the top dragons since I was in a hurry to get them to the Cultural Heritage Week art show and following display at our district office. I'll try to add photos of my artwork "winners" when I get them back in January. Students checking out dragons at the Cultural Heritage Week Art Show.